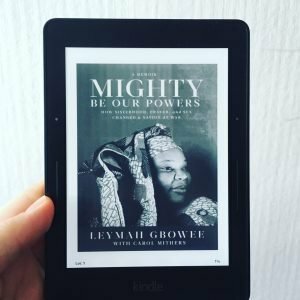 In our first episode of The Change Making Women Book Club, Ziada and Mary Ann have been reading Mighty Be Our Powers by Leymah Gbowee, the Liberian Peace Activist whose leadership helped bring an end to Liberia’s second civil war. They introduce the Book Club talk about what they learnt from reading this story about a woman creating change in a time of war. They talk about how her honesty shows through and about the parts of her story that inspired and challenged them. 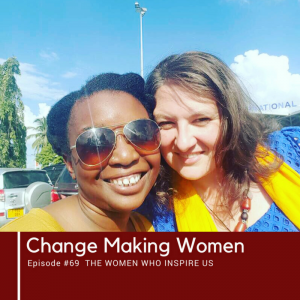 Each month we will be doing a show about a book written by a woman who has created change and talk about her story and why it inspires, motivates or challenges us. We will also be inviting listeners to get involved with this. 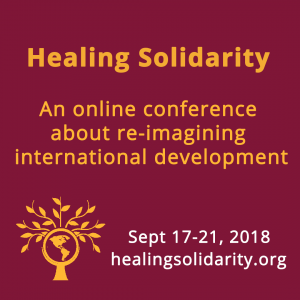 This week on the podcast we talk about the online conference Mary Ann has initiated ‘Healing Solidarity: Re-Imagining International Development‘. Ziada also quizzes her about the evolution of her work as well as what she got up to in over her summer holiday!